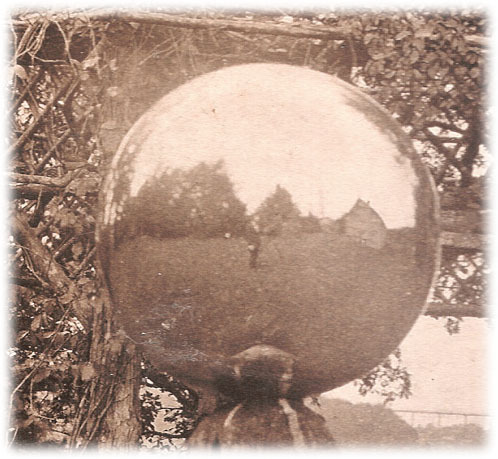 "Landscape view from Council House Grounds"
George L Washburn, Castile NY. This view is similar to image 119, but with some important differences. 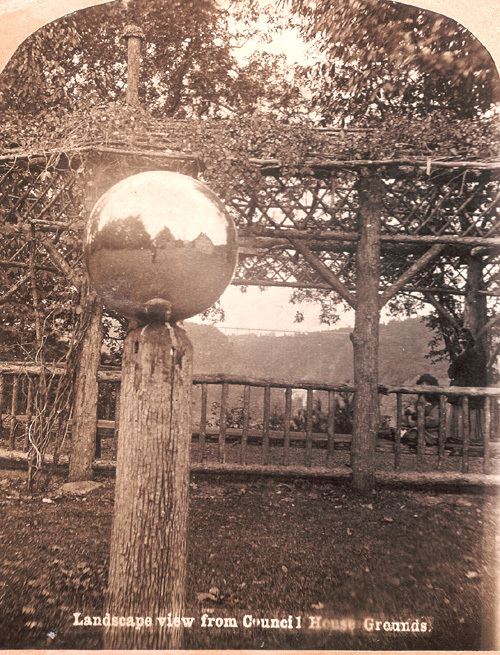 First, the perspective is different, for the gazing ball or globe has a more prominent role in the photograph. In fact, it provides us with an interesting glimpse of the photographer and his camera! 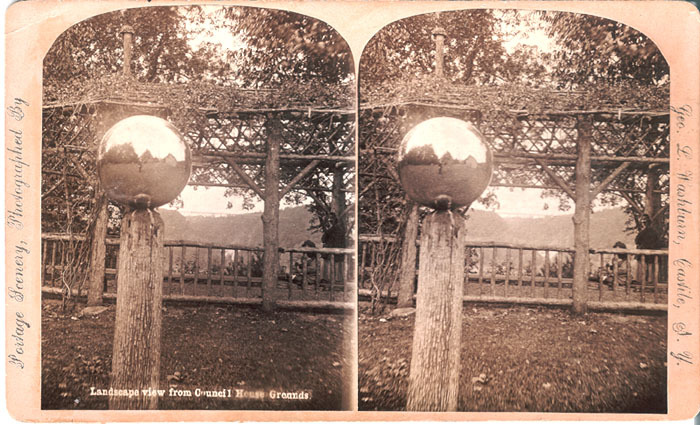 The stereoview is from the collection of Karen Gibson Strang. We thank Karen for sharing it with us!